Some people have said that successful wildlife photography is 50 percent skill and 50 percent luck, but some days it just seems as though you don’t have anything going for you. That’s the kind of day it was in late August, when my husband, Steve, and I decided to drive to Yellowstone National Park for a day hike on DeLacy Creek Trail, near Old Faithful. August is usually a slow month for wildlife watching, since many of the animals are in the high country to escape the heat and enjoy the lush mountain forage. Even though I wasn’t counting on seeing any notable wildlife, I checked some of the internet wildlife watching sites to see if I should keep my eyes open for anything in particular. 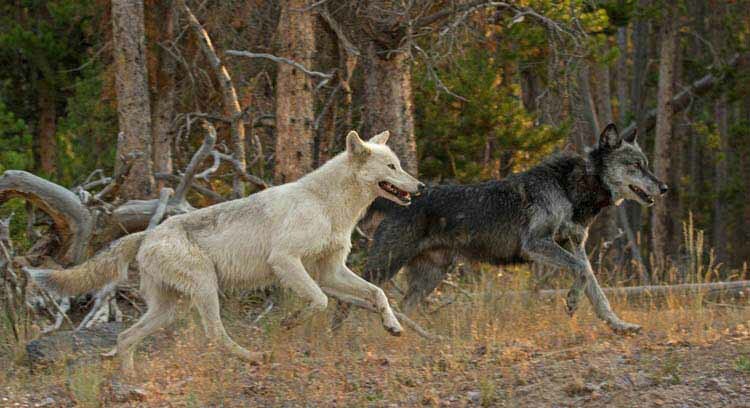 The Yellowstone Wildlife site reported that three of the Canyon Pack wolves had been spotted the previous day in Gibbon Meadows. That sounded interesting, but I didn’t have much hope of finding the elusive Canyon wolves. But Steve and I left home early anyway in hopes of catching a glimpse of something exciting. This entry was posted in News and tagged Sandy Sisti, yellowstone national park on October 19, 2012 by HOWLColorado.